Pontville Homestead was constructed in the 1840s on part of a large 1830s pastoral holding at the confluence of the Yarra Yarra River and the Mullum Mullum Creek by the pastoralist Major Charles Newman (1795-1866). Newman claimed that he and his family were the first white settlers at Deep (or Mullum Mullum) Creek and at the time were the furthest settlers east of Melbourne. The remains of his first dwelling, a turf hut, have not yet been located but are most probably quite near the confluence of the creek and river. Pontville now comprises a house constructed c.1843-50 and extended in the 1870s, remnant plantings, cottage foundations, outbuildings, bridge foundations, tracks, and a range of other features associated with the farming use of the area since the 1830s. Pontville was acquired by the Melbourne & Metropolitan Board of Works in 1978, and Melbourne Parks and Waterways now manages the property as part of Paddle Reserve. Pontville Homestead is of historical, architectural, archaeological, aesthetic and social importance to the State of Victoria. Pontville Homestead is historically and socially important as the one of the last 1840s pastoral selections on the Yarra River within the metropolitan area, and for its associations with the earliest development of the Templestowe area. It is also important for its association with Major Charles Newman, a former British Army officer in the service of the East India Company, and his family, who occupied the land until 1950. Newman, one of only two ex Indian Army officers resident in Victoria at the time, was influential in the development of Australian colonial society, and his Indian experience strongly influenced the architectural form of the Pontville homestead. Newman was also associated with early district gold discoveries, which were among the first in colonial Victoria. Pontville is historically and aesthetically important because its landscape contributes to the greater understanding of 1840s agricultural and garden history. Pontville is significant for the survival of its formal garden terracing and its remnant plantings including the Cupressus torulosa, Crataegus monogyna hedges and Morus Nigra. The surrounding remnant grasslands are important for understanding the early pastoral settlement of Pontville. Pontville is architecturally important for the evidence surviving from the original homestead building, such as its distinctive Indian Bungalow form (a core of three interconnected rooms surrounded by a broad verandah formed by the continuation of the main hipped roof slope, within which the ends were built in to create further rooms) and elements of the original fabric which are of great technical interest. Important items include a displaced hearth of a stone clearly imported from outside the Port Phillip District, possibly English millstone grit, some unexplained sallow cream bricks, probably of local manufacture, pit sawn hardwood ceiling joists, and a stair opening in the ceiling trimmed with tusk tenon joints. Other significant elements are the plaster finishes and remnant ruled lime stucco - the oldest such surface finish in authentic condition to be identified in Victoria, if not Australia. Indian influenced houses are a significant element in Australian colonial architecture, but are extremely rare in Victoria. 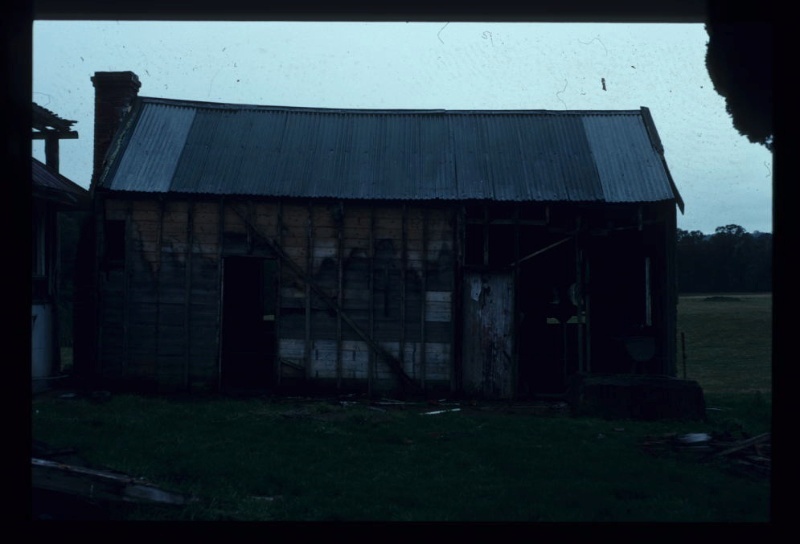 Associated with the homestead building are the farm outbuildings which are important for their ability to contribute to the historical understanding of the homestead property. Pontville is archaeologically important for the below ground remains inherent in the location of, and the material contained within the archaeological deposits associated with Newman's turf hut and the subsequent homestead building, cottage, associated farm and rubbish deposits. 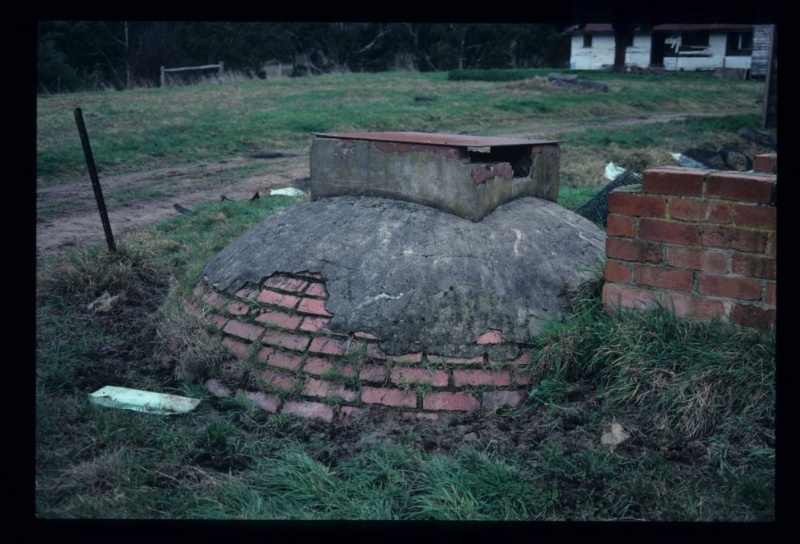 The structures, deposits and associated artefacts are important for their potential to provide an understanding of the conditions in which a squatting family lived in the earliest days of the Port Phillip settlement. The survival of sites associated with early pastoral settlement in Victoria which have not been subsequently disturbed is rare.